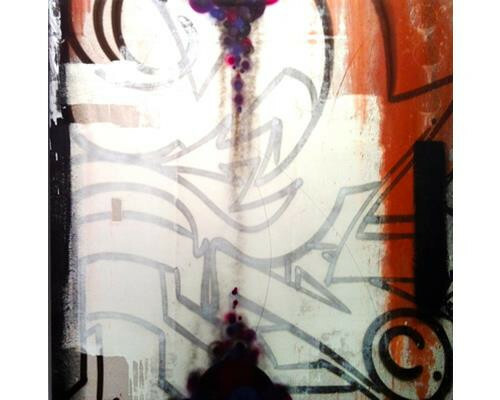 Style Bombing Mixed media on wood 48 in. x 48 in. 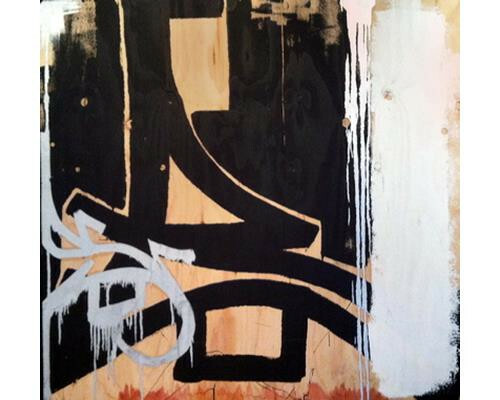 Styles Mixed media on wood 48 in. x 48 in. 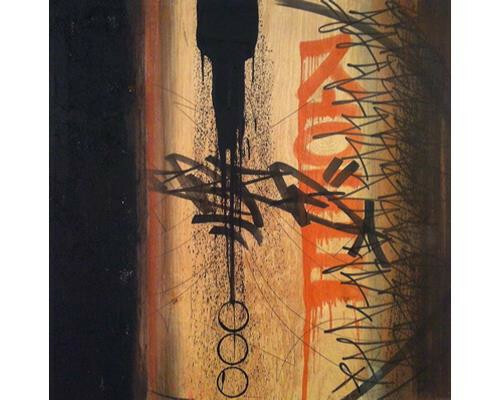 Z Mixed media on canvas 44 in. x 40 in. 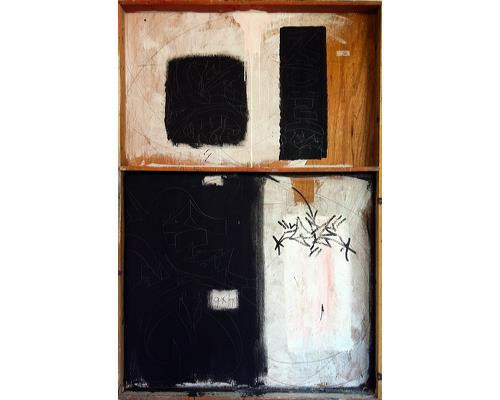 SB Window Mixed media on wood 72 in. x 48 in. Two Faced Mixed media on wood 60 in. x 60 in. 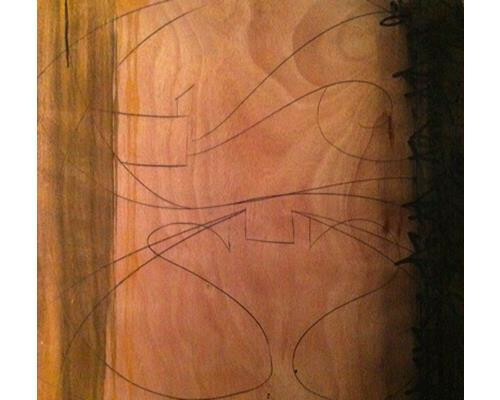 SB Mixed media on wood 48 in. x 48 in. Evolve Mixed media on canvas 54 in. x 54 in. Zebra Mixed media on canvas 64 in. x 98 in. 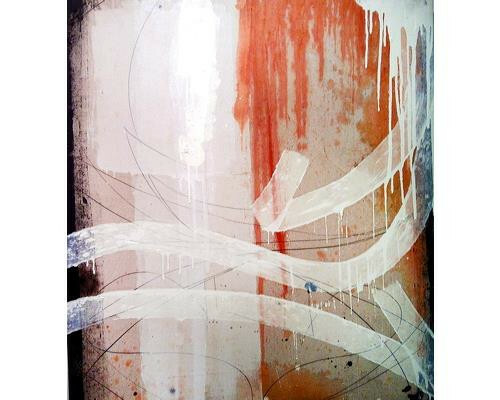 SBZ Mixed media on canvas 64 in. x 98 in. 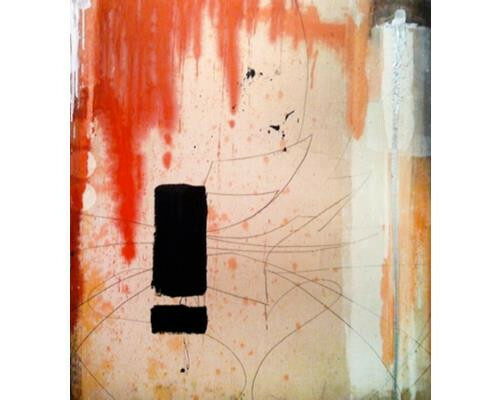 EZ Mixed media on canvas 44 in. x 40 in. ZZ Mixed media on canvas 54 in. x 54 in. 4x4's Mixed media on wood 48 in. x 48 in. Born 1970 and raised in the city of Chicago. 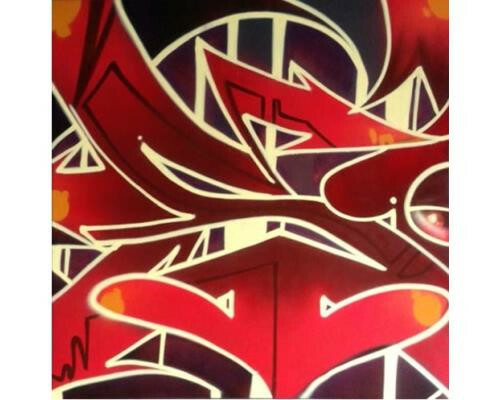 Graffiti Writer “ZORE” Mario Gonzalez Jr. has witnessed the beautiful murals and the vast dead land of inner city decay while playing as a child under bridges and abandoned buildings from Lincoln Park to South Chicago steel mills. 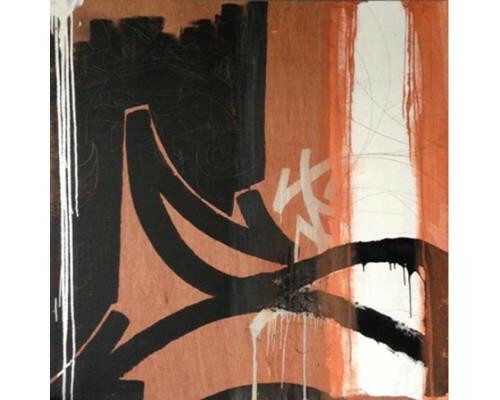 At the early age of 11, exposed to urban art forms such as the custom lowrider culture, DJs and breakbeats, he picked up a marker and started scrawling on any surface available to him. Mario’s father and the neighborhood were instrumental for the learning of the “styles” as he began to comprehend the art of the letterform which came natural to him. Soon, the new and improved art form of the subways became the only natural venue for him to express his “styles”. At the age of 17, Mario received a full scholarship to attend the School of the Art Institute of Chicago. He has utilized various art forms and genres to create, destruct and push himself not only in the Graffiti and Fine Art but in life itself. Mario traveled the globe painting subways, murals, performing, teaching and showing works in galleries and museums “searching for the perfect beat” which he had always carried all along. 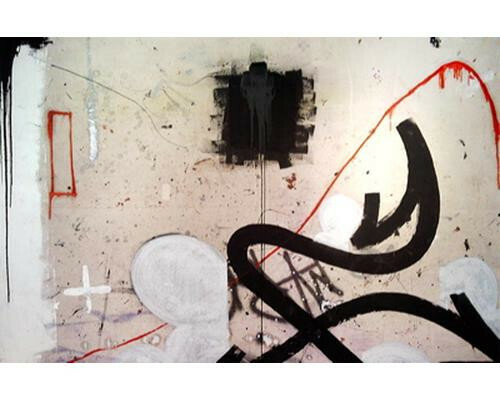 In 2002, he started painting smaller works that he called “Graffpop” because Graffiti was a mainstream phenomenon. It was then that Mario began painting in large scale while opening a studio at the Zhou B. Art Center in Chicago. In his new studio and surrounded by a vibrant art community. Mario fused all the elements that he had experienced over the years such as pouring, dripping, drawing and using non-traditional techniques and processes. 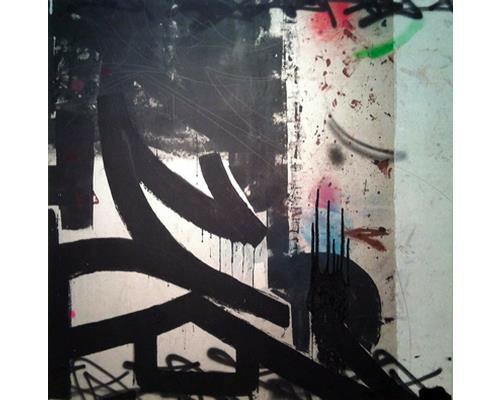 These new approaches culminated into a style of urban abstract graffiti and expressionism that is now highly acclaimed by local and international galleries and museums. Recently, Mario completed a 64-day world tour which began with an artist in residence in Gwangju, South Korea that included a two person exhibition. Following a month stay in South Korea, Mario was invited to return for a solo exhibition as well as participation in the Guangju Bianalle 2014. 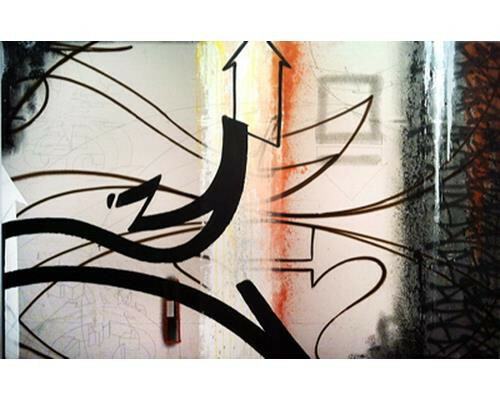 He was sponsored by the JS Consulate to represent Chicago in the international Meeting of Styles in Wiesbaden, Germany this summer and also received an invitation for a solo show in Bangkok for the winter of 2012. Mario’s journey brought him to Tunin, Itaty to participate in Art Energy and Future, a group exhibition curated by Sergio Gomez. Current and upcoming exhibitions included Art Basel Miami, Italia Arte’s Museum of Contemporary Art, Italy and solo exhibitions at the Zhou B Art Center. Dorothea Thiel Gallery of South Suburban College, 33 Contemporary Gallery and the Torres Gallery of the National Museum of Mexican Art in Chicago.